GAS IT Self Refillable gas bottle are easy to use, save you money and are super convenient to use and fill up, with free LPG Gas Locker Sticker. 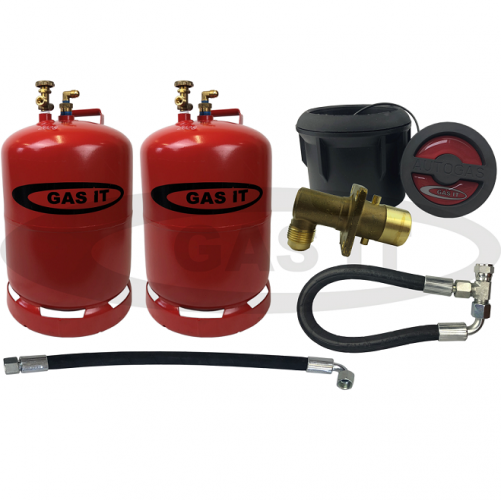 These GAS IT Refillable gas bottles can be partnered up with the identical Gaslow type so you can be sure of absolute compatibility should you decide to have more than one bottle fitted. This bottle also works with the Gaslow, Caratank and GAS IT fillpoints, hoses, fitting and so forth.